So, if you find yourself thinking about rehoming your precious monkey, whom you had such high hopes of having with you always, then it may be time to start asking yourself the right questions. I know that many of you had to scrimp and save to get your beloved monkey and that even more of you might have had dreams of having it always with you. My heart goes out to any of you that might be facing the decision of rehoming your monkey. I hope that this posting will help relieve you of guilt and remorse about even thinking about doing this and that you will gain peace no matter what your decision will be. When I sit down to write words about a special issue, I try to bring fair minded, healthy thinking and try to even bring a new way of thinking about the issue that I am writing about. I am hoping that I may not only be able to help those of you who are facing this issue of rehoming their monkey but also help others who may judge harshly against monkey caregivers who are doing the unthinkable (in their view). Let’s get started and of course, I thought that it might be a very good thing to make a list for you monkey caregivers to think about. Before you start using this list, I would strongly advise you to detach temporarily from the idea of rehoming your monkey and try to get a higher perception on your entire time with the monkey. Try to use your observer self and look down on the time that I just mentioned and you may start seeing things very differently. I use these procedures often when I am making a very big decision. The next thing, if you are considering rehoming your monkey because you are in the process of facing a huge life change, such as a life threatening illness which you or a family member may be facing, try to understand you are not alone in this. There are so many different types of life situations that happen that can make you seriously consider rehoming your beloved little monkey. Whatever the reason that you might be facing, I would strongly advise you to detach from your feelings of guilt, sadness or anger, so that you can just focus on the future of your monkey and deal with just this issue. Finally, to you that have received a rehomed monkey into your life as I have, please join with me in sending out the best energy possible when talking to monkey caregivers who are facing one of the most difficult things to do. So, let’s begin! Is someone in your home getting physically hurt by your dominant monkey? Are members of your family uncomfortable when you have the monkey out of his or her cage in your home? Are the member of your family having divided feelings about rehoming your monkey? Has it been harder than you expected to raise your monkey to be a gentle member of your family. Does your monkey have to be caged more than being out with you? Do you need help with making changes with your monkey? Would you be backed or supported by others if you chose to get help from someone that could help you make changes? Is your family ready to rehome the monkey but you are not ready? Do you feel your dreams of living with a monkey have been crushed? Have you lost the financial support needed to care for your monkey on a daily basis? 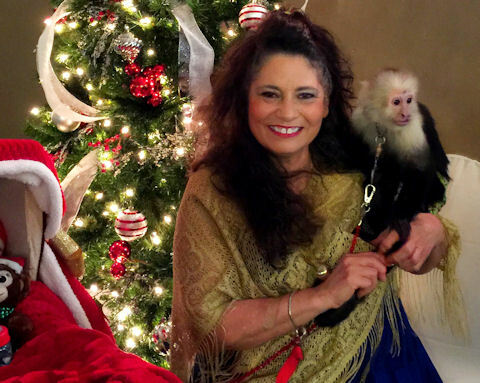 If you are in life changing event, have you envisioned not having your monkey in your life? Have you been given an ultimatum to rehome your monkey or loose your relationship with your mate/boyfriend/husband- or mate/wife/girlfriend because they have changed their mind about liking your monkey? Will life be all that much better if your monkey is rehomed? Can you see yourself living your life without your beloved monkey? Are you thinking about other things to do instead of rehoming your monkey? Have you even thought about who you would like to have your monkey? Does your monkey like the person with whom he or she may be rehomed? 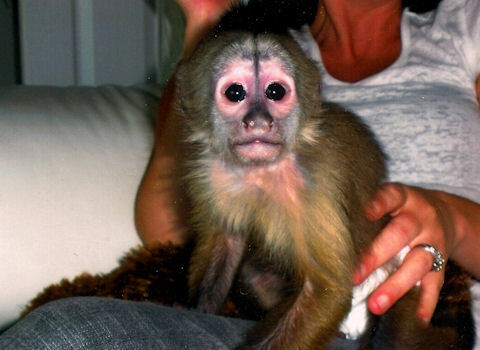 Are you just sick at heart that you are thinking about rehoming your monkey? Can you see yourself forgiving yourself for choosing to rehome your monkey? Are you feeling pressure about rehoming your monkey due to it’s young age or it’s old age? Do you not have the time to spend with your monkey anymore? Why are you thinking about rehoming your monkey? Can you truly be honest with yourself about your reasons why you are thinking about rehoming your monkey? If there is a health reason of one of your family members like an allergic condition, will you be able to follow through with rehoming your monkey without regrets. Do you think you will be able to have peace if you choose to go through with rehoming your monkey. When I say this, I do not mean think about it and then stuff it into the back of your mind. I really mean to sit down and write out an answer to these questions, one at a time, and think about them. When we write or talk about an important issue, we are able to get closer to the real reasons that we are thinking about making a change in our lives. As I am making a decision about receiving a new rehomed monkey into our life here at SunShine MonkeyShines, I envision what I think the changes in all of our lives will look like. After doing this, I then envision how I will feel not taking the possible monkey into our lives. I am searching for the most peaceful feelings that I can find. If I can not find the peaceful place about my future decision then I do that famous thing I call fence post sitting. I do this until I feel that I am seeing clearly what seems best. Guilt can come upon us when we are not prepared to take the full responsibilities of our choices and not able to live with what we have chosen to do. Oh, yes, we can all blame others for our choices but we must all take what truly belongs to us. We must also try to understand that we choose to feel the way we feel. Blame just builds guilt in our minds over and over again. Get clear with yourself. If you are prepared to move forward with rehoming your monkey and you do not wish to get in a effort to keep the monkey within your own family, then accept this fully as your decision and write down on your list why you have chosen to do this. The answers that you write to the questions on this posting will help you when you’re starting to feel remorse for your decision. Clarity, seems to me to be one of the most important things in relationships and major life choices. Please try to be honest with yourself when you are making this huge decision. Write down your thoughts, opinions, and your feelings, during your decision making process so you can refer back to it. These are healthy thinking skills that have worked for me many times since I have started using them. I hope they will be beneficial to you also. One last thing I will say about this first list before I move on is : A decision like rehoming a monkey should be thought about very seriously and not be quickly made on a whim. Many times you might say, “This is not working out and I am going to get rid of this animal.” Well, this might sound great to say at the time due to your feelings of frustration but the emotions behind your choices are not fully dealt with and then this is when you go down the rabbit hole. Maybe you have never ever dealt with things in this type of way before but this can start the time of learning how to do this. “Guilt kills all joy.” This is why I am encouraging you to learn how to stop guilt in it’s tracks. One more little thing that I have learned too is: “Duty kills all joy!” If I am going to have to do something that feels like duty then I get busy in changing the energy around doing it or find a way to not have to do it. I truly wish to be living in a state of joy at all times. This choice to be happy and full of joy is always mine. If you are unable to feel peace about your decision without having feelings of duty and guilt, then please re-think what you are doing. I have seen people often not seem to get to peace after they rehomed their monkey. I do not wish this to happen to anyone. Peace of mind in our decisions is golden. In life experiences, we all have different variables in what makes up our next steps in life. Learn to face them, accept them as our lessons, and then choose to take responsibility for your decisions. 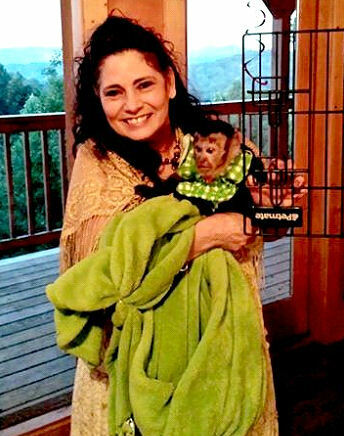 I just happen to be holding a very special little rehomed monkey named Sophie at this very moment of writing this post for the Primate Care site. She has many issues that we are still working on with her. She is my problem child in one huge way and that is her diet restrictions. We must keep wheat, corn, and sweet potato out of her diet. Food allergies are not easy to deal with in children and are even harder to deal with in primates. Sophie is smiling up at me and enjoying being held to my heart in her special blanket sling. With every other sentence I type, I am giving her a squeeze. She loves her time with me. I love her so much and I also love the previous owner who knew she was not the right home for her special needs. I am so thankful for my friendship with the previous owner and the way that we are able to talk as friends about Sophie’s progress. She always gives me a safe place to discuss possible changes that I wish to make in her life. I believe we will have a special bond that will last a lifetime due to our mutual love and respect for each other and, of course, the love that we share for Sophie Girl. Do you have an idea of what type of situation you would like for your monkey to be rehomed to? Knowing ahead of time what you would like to see happen to your monkey in the future is an important question that you might like to have visualized in your mind. Are you prepared to give up any control over what happens to your monkey after you sign the final papers? Knowing how you feel about this is a very important question. It is very hard to do this when you have loved and nurtured the monkey for a very long time or since it was a baby. Do you wish to be able to visit the monkey after you rehome the monkey? This desire is not always possible right away due to the process that the new owner will be going through with their new monkey. It is very important to accept that this may not happen for a very long time due to the bonding process that the new owner will be going through. Wanting to see the monkey is a natural thing for someone to ask for but any person that is educated in rehoming monkeys will often tell you, “No visits to see the monkey until 9 to 12 months.” However, photos and videos should be possible immediately. Do you think you wish for your monkey to live similar to the environment that you have had for the monkey? You must give some time to thinking and writing your responses to this question. You may wish for your monkey to live in a troop of monkeys or maybe live with one or two monkeys. The answers to these questions must come from you due to the temperament and programming. that your monkey has shown or learned while in your home. They may make a great single pet monkey or maybe a great breeder monkey. These are all things that you must decide upon. You may even need some help in making this decision. Many seasoned monkey caregivers would be able to help you talk out what would be best for your monkey.You must also be honest with the future people whom you may be considering about the possible problems that may occur with your monkey. 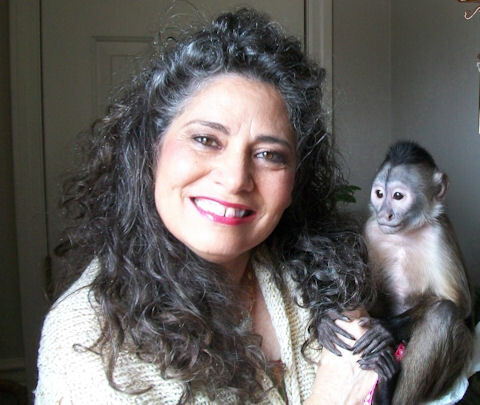 Being honest and up front about your monkey’s behavioral issues or special needs is something very important when speaking to a possible new owner of your monkey. Please spend some time with this question. When you choose to rehome your monkey, you should have a good idea about what you wish to see happen to your monkey with a future caregiver. Being emotionally ready and sure that you are doing the right thing, and doing it for the right reasons, is important before you speak to a possible future monkey caregiver for your monkey. You wish to be prepared to speak the reasons why you are rehoming your monkey and what you would like to see happen to him or her. I have had many people be very upset when they have spoken to me about taking their monkey into my life and into the life of my troop. I am a very compassionate person with the ability to feel someone’s pain. It can be a very emotional time for the owners of a rehomed monkey. The main thing I would wish for you to remember is that the more peaceful you are with your decisions during the possible rehoming of your monkey, the better you are going to feel months or years down the road. If you are aware of your feelings during this time and are able to honor them and face them instead of stuffing them away, then you may have a better chance of not feeling guilty.When you have treated this process with healthy thinking skills, the time remembered that you spent with your monkey will feel easier for you to live with. If you were to do the rehoming of your monkey before giving yourself and your family the full time of processing this big decision, then instead of feeling good about your decision you might possibly feel very differently than you thought you would feel. You could always feel that you made your decision much to quickly and begin to build great guilt or remorse over your decision making process in the future.Stuffing our feelings and saying to others and ourselves, “I just did it and moved on.” These words sound good but in living life that is not how I have found my mind works out things for the best outcome in my future days to come. As I have become older I have learned that it takes so much less of my time and effort to process things fully instead of just doing it and moving on. The processing time that I now spend has become like a guarantee which helps me be able to live my life much more peaceful. I honestly try to do nothing without feeling the peace of God upon my heart. When you get to negotiations with a possible new owner of your monkey, you may need to adjust what you would like to have, in order, to get the right home for them. I have always tried to listen to what the owners of the monkeys that I have given a home to wanted. You may need to adjust what you would like for them to be able to do for you. Everyone is so different when making up their wants and do not want list. The best situation I believe is where you have a good working relationship and you are relaxed and able to speak truthfully with each other. The main thing is to feel that the situation is right and that you feel peaceful about your decision. By moving forward and envisioning this for you and your monkey you will find the right and perfect life situation for him or her. If it makes you and the chosen new monkey caregiver for your monkey feel better, then you can certainly make out a contract. Yes, this may be what you feel that you need to do in some cases. I have never been asked to do this during my time of giving homes to monkeys that need a home for 27 years. But, I would have done what was necessary with my monkey rehoming families that have rehomed their monkeys with me. There is another thing that I have always known before I said ‘yes’ to someone that wanted me to take their monkey and that is to feel such a peace that their monkey was supposed to be with me. In a contract you could certainly put in the things that you would wish to have them do. This is a very good idea if you do not feel that you are dealing with someone that would respect your verbal wishes. Good luck once again on studying your heart and mind as you are considering moving forward to talking with possible future monkey caregivers of your monkey. If your final decision is to rehome your monkey, then move forward to the next stage of rehoming which is to find the right person or situation for your monkey to live in. The following questions will be helpful when doing this. How would you keep my monkey in your home? How would you start out with my monkey? How would your life change with my monkey being added to your home? Do you have the resources to pay for all care of my monkey? Do you expect any changes in the near future in your life? Do you have children visiting you? What would you do if a possible problem arises with my monkey? Who would you call on for help? Does your vet have experience with monkeys? Do your feel that you have time to spend with my monkey? After hearing all of the things that I wish to have fulfilled, do you still feel that you would like to be considered as a new owner for my monkey? What questions would you like to ask me now about my monkey? Would you mind signing an agreement with me about the monkey and his or her care? Now, before I close this topic, I thought that many of you would like to know how the rehomed monkeys have reacted to being in a new home with my troop of monkeys after being raised with another family. Of course, every monkey is different and has had different programming as they have grown up, but I can truly say (without a doubt) that they all have coping skills. They have a much better capacity to live in the now moments of life much more fully than we humans are able to do. When a monkey comes to us they get the best of both worlds. I know this is a very bold statement that I have just made but here they have a troop of monkeys to embrace as well as a very busy family life with many visitors. I do not have a rescue facility. I give monkeys homes when I feel as if I can be of assistance and, of course, and am able to join with the peace of God. The early programming of monkeys will determine how they will react to the changes in our home from the original monkey caregivers home. For example, if a monkey has been afraid of men in their lives, then they will experience a similar problem with us . The challenges that they have had prior to coming here may heighten when they arrive too. I must say this next statement about monkeys and how they respond to being rehomed with a great need for you possible monkey caregivers to understand thoroughly what I am trying to explain. I can not emphasize enough how different that each one is and that their emotions are like a toddler for their entire lives. Just because you see one monkey that lives in captivity behave a certain way does not mean that your monkey will behave that way. It is a journey of learning and accepting that through the journey you and the monkey will be growing and changing and that there is not a set vision that you can create as you are on the journey. I say it often in the “Living With Monkeys” book, “There are no guarantees when raising a monkey just as it is with a child.” It is a very serious thing to decide to be a monkey caregiver in today’s world. Without God’s peace that I seek and expect to guide and direct me, I would not know what the next stepping stones need to be with a rehomed monkey. I keep asking for miracles and guidance as I live each day of my life. We all come with a story, some baggage, some attitudes, and we are all are on the yellow brick road back to our real home. The monkeys are not any different in their life experience. I take the giving of homes to monkeys that need a home very seriously. Many have been successfully rehomed with me forever. A few have needed to be passed to another life situation as I have been directed to do. One of the monkeys came to me needing to go to another home due to it’s anger and extreme hurt over being rehomed. He taught us all many lessons. But, the lesson that he taught me the most was that the emotions of these monkeys are very real. They have deep feelings and emotional roots that are made when they have been purchased and raised in a family life setting. I thank God that I am a person that is patient and has the ability to not give up on what a monkey needs to be happy. The life of a rehomed monkey does not necessary turn out as I have envisioned it to look like. It will be what it needs to be for each and every monkey and that is this: I will not stop trying new things until I see happiness in the eyes of the monkeys that come to me. Sometimes it will be because they have finally built a love relationship with a human but it sometimes will turn out to be because they finally have met their best monkey friend. We do not ever have the ability to tell them who they are going to love. God gave them free will, too. Monkeys are amazing gifts, please read as much about them as you can prior to obtaining one. I do hope that this topic on the Primate Care site has answered some of your questions and thoughts about rehoming a monkey. This is now the end of the “Safety-First” topics. Of course, we will be continuing to mentioning the Primate Care’s “Safety-First” issues in other posting, here on this site.